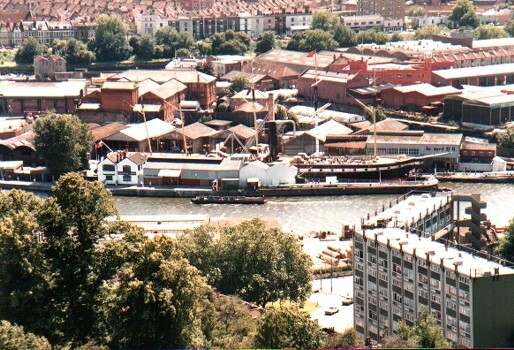 The SS Great Britain in its drydock alongside the Floating Harbour, viewed from Cabot Tower on Brandon Hill. spans the Avon gorge, although lack of money meant that it was not completed until 1864, five years after his death. launching his colossal steamship the Great Eastern.